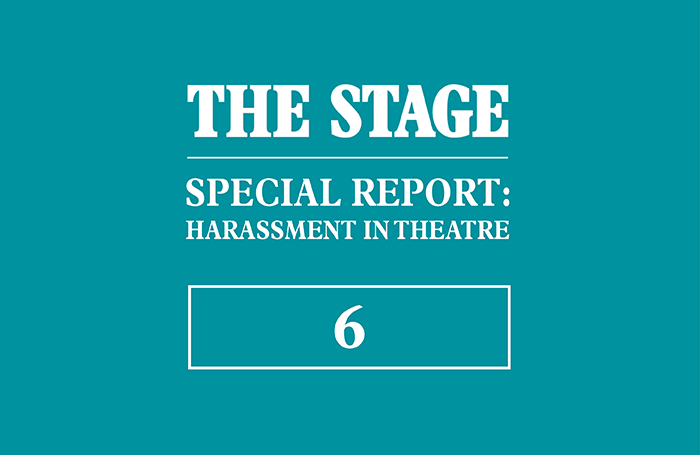 Following the wide-ranging and ongoing allegations of harassment and abuse in the entertainment industry and beyond, The Stage carried out a survey to determine the scale to which this has affected, and continues to affect, theatre and the performing arts professionals. It was also intended to investigate whether there were any parts of the industry particularly hard hit. It was distributed to a database of registered users in November 2017 and was carried out over a 10-day period by 1,755 people with 1,050 people completing all key questions. It collected the data of those who work, have previously worked, or are training to work in theatre. Citizens Advice defines sexual harassment as unwanted behaviour of a sexual nature, including sexual comments or jokes, displaying pictures, photos or drawings of a sexual nature, sending emails with sexual content, and physical behaviour such as unwelcome sexual advances and touching. Nearly one in three (31%) survey respondents said they had experienced sexual harassment at some point in their careers. This ranged from inappropriate comments to unwanted sexual advances, touching and sexual intimidation. More than 70% of individuals who said they had experienced sexual harassment did not report it, with some admitting they had never considered this to be an option. Women were significantly more likely to experience sexual harassment than men, with 37% of female respondents to the relevant question answering they had been subject to sexual harassment. Of performers, 32% said they had been harassed sexually through their work. Of backstage staff, 37% said the same, as did 30% of creatives. One performer said they had been repeatedly asked to perform naked, despite the script not requiring it. They claim they were fired and recast when they refused. 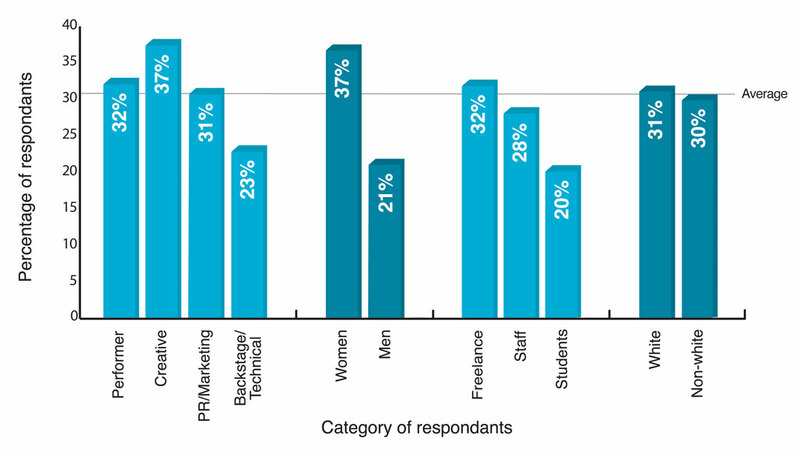 Rates of sexual harassment were higher among freelance workers than staff. One in five students reported that they had been sexually harassed. Respondents said they had experienced older, male members of staff making sexual jokes about female students, while some told of receiving inappropriate text messages from tutors. Sexual harassment was more commonly reported by homosexual respondents compared to heterosexual respondents – as were all forms of harassment or bullying analysed in the survey. As part of the textual responses, gay men described experiences of being told that they should “use their sexuality” to progress their careers, as well as being sexually harassed by older and more senior figures.